I'm still confused about this entire concept of modules- and I've read all of your posts! If you could please show us your thought road map on the actual purpose & intention for these. I thought you were going one way, then it seems you are going another way. Maybe some of these options should be for after when peoples earn their level 30 experience or get into Diamond or higher league. I would have to say that having a Gold player or lower in the field when you have these modules would be unfair. You don't want to have the game so complicated for new players. War Robots has a great solid, simple, core. The higher you go, the more options available for gameplay. Please think about it & melee weapons (laser tipped swords/Jackhammers) with hovering, wheeled, & centipede type bots as well- just for a change up esthetically. We are also still waiting for the black light laser that can shoot through buildings & obstacles. A rebalance is needed. But it will always be off unless we can upgrade both one bot and one weapon at the same time. This is the most important factor. FIRESTORM... A great play would be all fire. Nothing but fire attacks but give each bit different distances of flame, maybe even different color flames. KA-POW!!!... Another would be all light weapons but increasing their power significantly, maybe even giving a recoil bounce back wards to the bots firing them. CRASH & MELEE... Crash and melee is another option. Many of us would love to have short actual sword and medevil type of weapons on our bots. Hack off the arms and legs! Make that Weapon can only get a kill shot they have to be short, short range. This will allow for a person to fly in and attack close in ambush! AMBUSH... Ambush is another option. Every one of all types become rocket power death buttons and self exploding! NOTE FROM THE PREACHER: We hope you are doing well. Thanks for the changes, it’s always a little hard to adapt to the new environment. FREE membership in the lottery spinner would suffice to help compensate. We all have talked about this before: I would like to see clan gifting improved where you can gift anyone in your clan any part/gold/silver you have. It would give a better incentive for being & staying in a clan. This will also allow clans to support and build up their weaker players. I would like to see this balanced out with who people chronically tank out of games automatically getting kicked out of their clans- clan getting a minus point. My daughter uses my account sometimes and she has left games, and I scold her for it. If you are going to play, I tell her, you must commit. If you are not committed, don't play. Clan gifting (a positive) & clan penalty (a negative) for chronic dumping your games I believe will help (though we all know not perfect) the tanking issues. Please let us gift our clans with what we have! There is no reasons why you would not do this. NEW CLASSES OF WEAPONS & DEFENSES NEEDED! The new weapons that come out tend to be the same as old weapons tweaked some. Due to the growing environment, weapons are becoming stagnet in general groupings. The shock train is the only unique exception (that’s why so popular). Several suggestions from our community’s joint intellect: SUGGESTIONS.... Proximity Attraction Landmines with a self destruct if on field too long. Physical Microbot Shielding- like a black swarm able to block physical attacks until destroyed. Yellow Hard Light Sheilding- a spherical polyhedron soccer ball that leaves you impervious to all types of attacks via planks of hard glass-like light in which you have to shoot out of & destroy to once again be able to attack. Acid/Lava Weapons- able to impact (stay for a while on) the ground & walls around you to cause immediate leg and weapon joint damage first, leaving a residual slow accumulating damage for set time. Magnetic Tractor Beam- pull opponents toward you closer or pull you toward your opponent via it’s superior weight class. 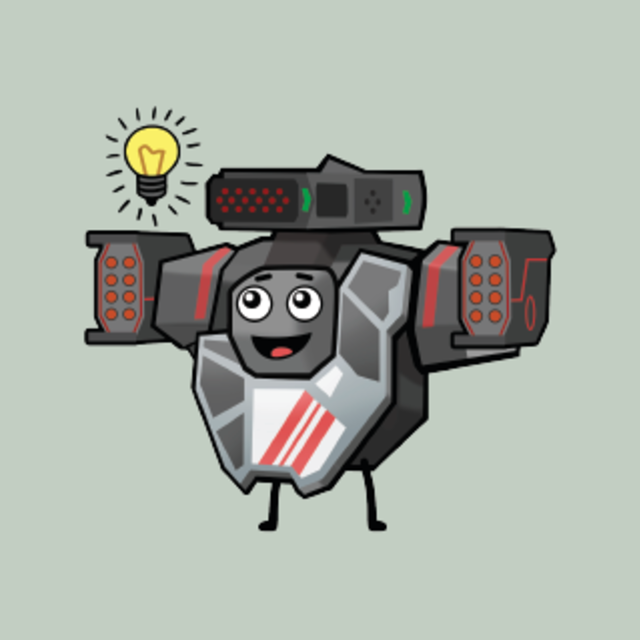 Medic Bot- a small backup repair mechanism that can take a place of a weapons slot that slowly brings you back up to 50%. Battle Blades and Physical Ramming damage devices- spear through, cut off limbs of opponents. Magnetize Shot- able to magnetize opponents to receive all close physical fire for a short time. Dark Light Beam- a medium weapons slot beam weapon, weak, but can shoot through walls and obstacles at opponents. One Shot Only Weapons- whether a mega spike nuke, launching a satellite weapon to beam an area of opponents from the sky, or giant physical boomerang slung out... weapons that you can only fire once in the entire game that cause great impact. Counter Flares- rockets that can counter other rockets fired at you, as well as the request to allow for your weapons to be able to shoot down rockets fired at you if your weapon is strong enough to pierce it’s shielding. Satellite Drones- can hover around corners or go high over obstacles to fire at opponents taking off from your installed launching platform for a charged time frame. *There also has been a “fun” request to make a rewards event/mode where as you fight you find stashes of silver, gold, components....whether it be an event or an actually gaming senecio in random mode. Winner is calculated by who received the most. This is to give the players a fun break once and a while. I would suggest that this level would not impact your actually rating. *A near zero gravity zone in a map has been suggested as well...things which give a map a unique fighting impact, not just visual. 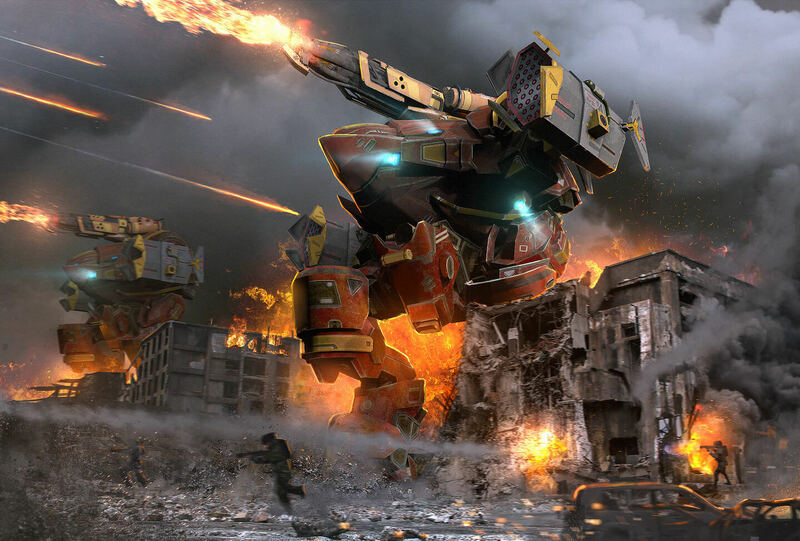 *A new map full of damaged and ancient stored mechs has been requested as well. Something that sparks story interests to how this mechanical war all began...showing how far it has evolved since those original old mechs were designed. *More GOLD BOTS & GOLD WEAPONS have always been requested. Thank you for your time and hard work. Hopefully some of these ideas spark a little revolution verses stagnation for the game in the near future.